What Samsung have managed to package together is a dual core processor, and a lot of other goodies in an unbelievably slim and light form factor. While the plasticky feel is a bit of a disappaointment, the performance on offer will simply blow you away. For anyone who does a lot of gaming on the smartphone, or want a powerful phone, the S II may just be phone for you. If you have Rs 32,890 to spend at this moment, we suggest you order it right away. This is slightly on the expensive side at the moment, and you may choose to wait and watch what happens with the prices in the next month or so. Alternatively, the LG Optimus 2X is also worth checking out, if you want a dual core powered phone which costs a bit less. After the superb Galaxy S, Samsung has their job pretty much cut out, as far as making the successor is concerned. After having warmed up with the Nexus S smartphone (Read review here), Samsung were in form when it came to putting together the Samsung Galaxy S II. And no doubt they needed to be in top form, since the Galaxy S II is one of the very first dual core processor powered smartphones, and needs to compete with the dual core phone from the Korean rivals, LG the Optimus 2X. We were impressed with the performance offered by the Optimus 2X (Read review here), but felt that it was a little understated in terms of the punch offered by the dual core processor, and it felt big and heavy to hold, use and carry. While we know it’s a dual core, but it feels like an HTC Incredible S (Read review here) or the Samsung Nexus S (Read review here), in most usage scenarios. The 4.3-inch Super AMOLED Plus display (480x800 resolution) is an absolute delight. Switch it on, and the first thing to grab your attention will be the vivid colours jumping out at you. Colours are not affected by gradation and the black colours feel actually black, and not like dark grays, as on certain displays. Good brightness levels offered by this Super AMOLED Plus. We feel that in most cases, setting the brightness at about 30% to 40% is more than enough, both indoor as well as in sunlight. Indoors, we felt that even the display set at 0% brightness offers excellent visibility! In the settings menu is the option to set the colour vibrancy levels of the background- Dynamic, Standard and Movie. While the best colours are offered by Standard setting, the Dynamic setting, in our opinion, made the colours too bright. The Movie setting makes the colours warm, and the whites become pale. This one is, however, the easiest on the eyes, since the colours aren’t very sharp in this setting. While you may not cry yourself to sleep over the disappointing UI, the dual core goodness does make it all worthwhile. The ARM Cortex A9 is the 1.2GHz dual core processor and is paired with the Mali 400MP GPU. The performance on offer is absolutely stunning. The interface is silky smooth, applications open up in a flash and even with multiple apps open in the background, the phone wouldn’t feel slow or laggy. To see how good the gaming performance is, we downloaded GTRacing HD from the Game Hub app. Once the download was done, it was a delight to play this game. Loading times were much less than what we have seen in other devices, the graphics were very good, and the game-play was silky smooth. The frames did not stutter, even after half an hour of continuous racing! 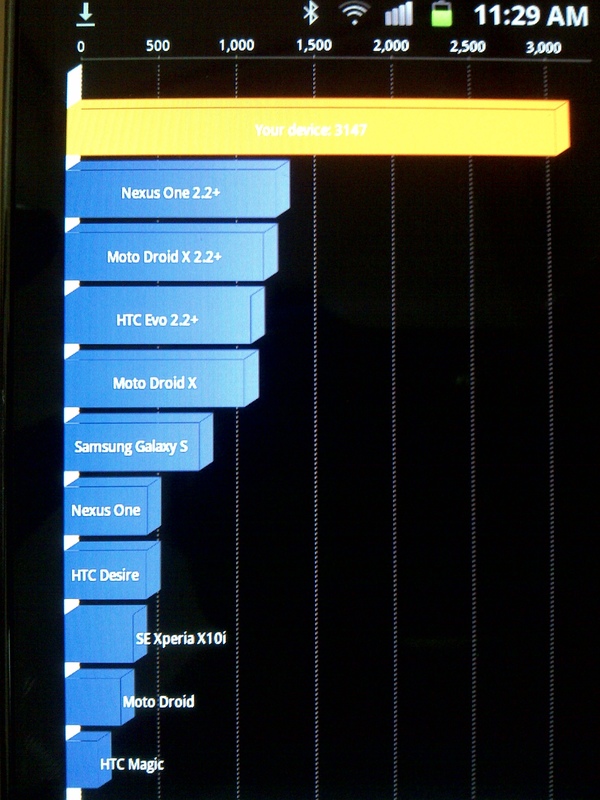 Just to be sure, we ran the Quadrant benchmark on the Galaxy S II, and the results surprised us quite a bit. While we knew that this phone had a considerable advantage over the rivals, the sheer humiliation unleashed on the rivals was just bewildering. Check out the attached image to see what we are talking about. And all this was on the stock Android 2.3.3 ROM installed by Samsung, with the usual TouchWiz UI etc. Our take: Have money? Will buy. 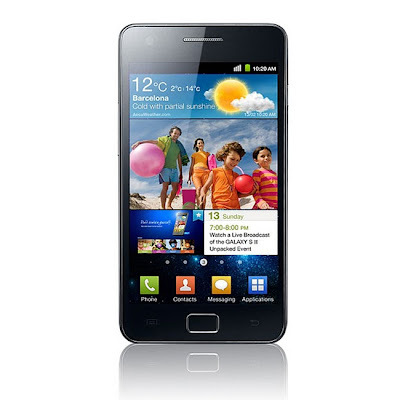 The Samsung Galaxy S II is truly one of its kind smartphone. There really isn’t too much we dislike about the phone. The performance on offer is pretty much unmatched by the current generation of phones. And the S II is on a diet, or so it seems since it is so light. Combined with a very slim form factor. What really left us surprised is the excellent battery life. Despite the amount of power on tap, the battery life is actually better, rather than taking a hit for the worse. Okay, there are some annoyances like a plasticky body, the TouchWiz UI feels dull and that it is tied to the Kies desktop software quite tightly. But these will fade into the background very quickly. The LG Optimus 2X (Read review here), now seems like a poor man’s dual core phone, at about Rs 26k. If there is a budget you wish to stick to, and only the 2X falls within that, buy it. It may not be as brutally powerful as the Galaxy S II, but is very powerful in its own right. If however, you have the money, or are willing to stretch that budget to fit in the Galaxy S II, we sure hope you succeed. There really isn’t an alternative for the sheer brute power on offer here. Essentially, if you have got about Rs 33k in your wallet (beg, borrow or steal), then this is the phone to buy, period. You wont regret buying this one. Just as an advice to the ones who aren’t impatient, or haven’t rushed off to buy/ pre-order the S II already, the HTC Sensation is heading our way very soon. It also has the goodness of dual core power and a 4.3-inch S-LCD display, but with a much higher 540 x 960 pixel resolution. 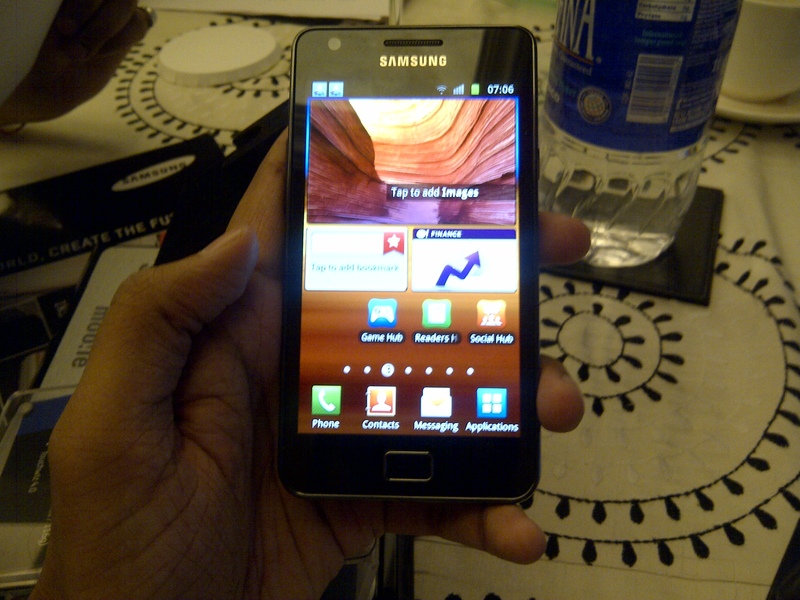 However, it only has 1GB internal storage, unlike the 16GB available on the S II. You may just want to wait and see how that one compares to the S II, and which one is a better deal.